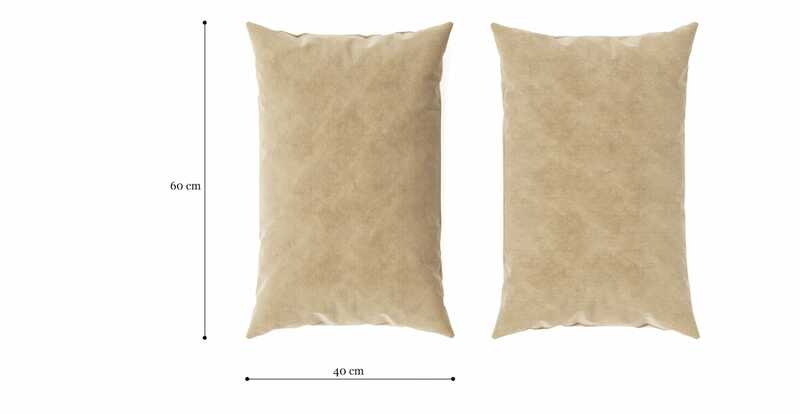 The Elementary Cushion in Putty Beige makes decorating your home easy and looks great in the bedroom or living areas, with a variety of sofas or beds from Brosa. Upholstered in luxuriously soft Warwick Mystere, the Elementary Cushion comes available in a range of vibrant and neutral hues that will suit any room. View the rest of the colour range on offer here. With just the right amount of plushness, the cushion has been filled with the highest quality Australian Duck Feather Down. Choose a combination of your perfect size, with three on offer. To keep the look of the cushion stylish and seamless, the zipper has been discretely fitted in a matching colour to blend in with ease.